Evelyn Ashford was so upset by the lack of meaningful training for those with autism that she opened a model railway shop for her autistic son. She fought to ensure that work experience there formed part of his Education, Health, and Care Plan (EHCP). Here, she tells Darren Devine how she hopes her fight for her son can set a precedent that ensures those struggling with autism to get work experience that engenders independence. With its model railways, Star Wars paraphernalia, and shelves stacked tightly with rows of gleaming model cars, the appeal of Somerset shop 'Silver Lining' to those particularly passionate about collectibles is undeniable. It's a carefully constructed world specifically designed to appeal to people - often diagnosed as autistic - who may have had such all-consuming passions since childhood. And that was exactly the intention when Evelyn Ashford opened the shop, in Ilminster, for her 22-year-old son. Ashford’s son is autistic and Silver Lining is the product of her dissatisfaction with the opportunities that he and countless others who share his condition are offered in adulthood. The 54-year-old mother believes none of the available options would come close to nurturing the levels of independence she is determined to see her son achieve.​ Ashford says her son still needs therapeutic support for sensory and social problems, and that his numeracy and literacy skills should be developed in the more practical way offered by working in the shop. But only work experience centred on his interests is likely to deliver the results she believes he is capable of. Under the Children and Families Act, EHCPs may now run up to the age of 25. But Ashford believes extending EHCPs to over 19s will do nothing to improve outcomes for those with special needs if the opportunities for meaningful training are unavailable. Ashford believes much of the training currently offered to those with special needs is “unambitious and a waste of public money”. She was locked in a dispute with Somerset County Council over the shop and recently took the authority to a tribunal in an attempt to get her son’s work experience at Silver Lining written into his EHCP. The tribunal has agreed a support package for her son to be provided by support workers from the charity United Response and funded through a personal budget. The package features daily work experience, tutoring on academic subjects, and social activities. There was a dispute over where her son would get his work experience. Ashford wanted it to be at Silver Lining and won this concession at the tribunal. She also wanted Somerset County Council to help pay for the running costs of the shop when her son is there. Though Ashford’s shop seems ambitious she insists it’s no different from the fees for a college placement, factoring in the costs of running the building. “In terms of numeracy, he’s obviously working with money instead of basic mathematics, in terms of English he’s preparing orders. He’s learning all sorts of things that he would never have learnt at Farleigh College (his previous college in Somerset) that are going to give him great benefit in the future,” she said. Ashford says her shop could be opened up to others with his condition who may benefit from work experience in an environment focused on the special interests often found among those with high-functioning autism. She believes that the options offered by independent colleges to young adults can be unimaginative and fail to provide the enrichment they deserve. Ashford has fought seven separate tribunals over her son’s education and left herself heavily in debt to win him the support she believes he needs. In future, she wants to see support organisations offering bespoke programmes - like working in her shop 'Silver Lining' - to young adults with autism. “If they [support organisations] can then go to the local authority and do something similar to this, then they could do it for several hundred young people around the country without having to have a college to base it on. It will just open the gates for lots more possibilities and variations of this kind of set-up,” she said. See more: Should "challenging behaviour" be used as a reason to limit community access? Ashford runs her own firm Education Equality, which offers legal advice to families locked in disputes with councils over their children’s EHCPs. 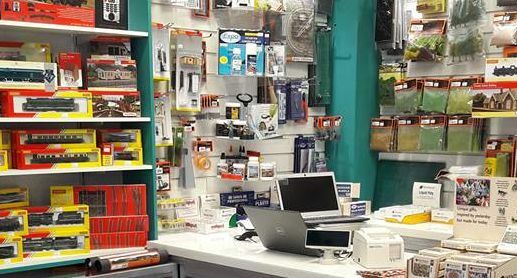 Educational Equality has over 5,000 members in its Facebook group and Ashford did a survey on its page to help her settle on the shop’s stock. The costs of her son’s support package, who also has Attention Deficit Disorder (ADD), have been pushed up because Somerset cannot offer other services like speech and language and occupational therapy. She has had to source these privately — otherwise the costs would have been lower than for his previous college placement. Alison Payne, Ilminster area manager for United Response, said she recognises the role work can play in “empowering people with learning disabilities and enabling them to live their lives to the full”. “Supporting people to get a job or engage in work-related activity is a central part of what we do and we’ve a track record of demonstrating how, with the right support, those with learning disabilities can overcome challenges and make valuable contributions to a workplace,” she said. A Somerset County Council Spokesperson said they follow the government’s special educational needs and disability (SEND) code of practice: “In terms of education and preparation for adulthood Somerset as a local area is supporting increasing numbers of our young people with SEND to attend a wide variety of further education courses, enabling them to become equipped with the essential skills they need". Caption: Silver Lining, where Evelyn Ashford’s son completes an educational placement.